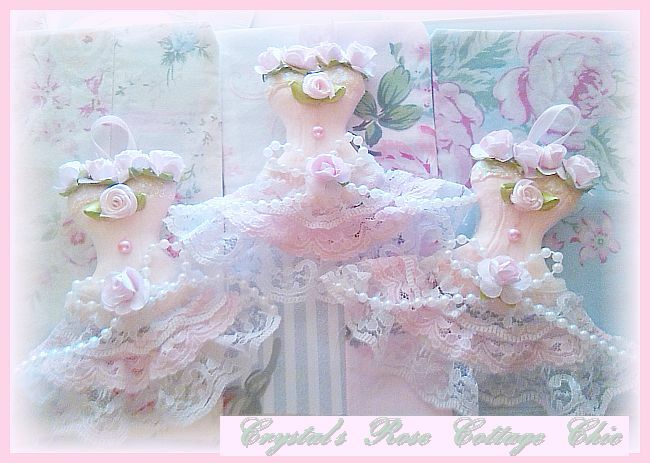 Hand molded, dress ornament painted pink, sugared with sparkling glitter across the top and embellished in lovely lace, ribbons and roses...measures 5" x 3.5". 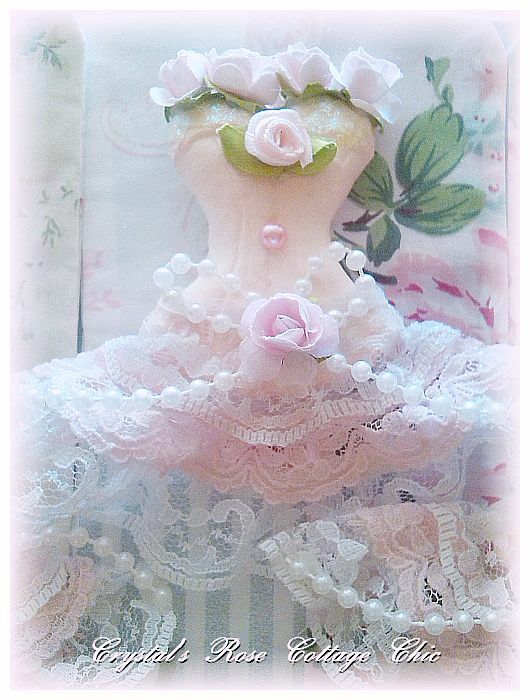 A lovely, little, shabby pink touch of romantic decor. More than one available.